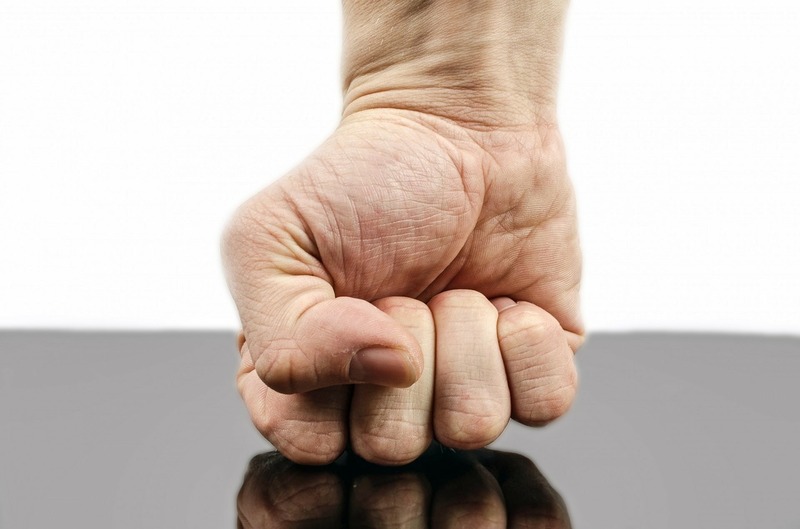 Some anger management programs make things worse. Some common prescriptions for anger management do not work and can make things worse. There are things that work quickly and efficiently to eliminate anger but we try to wait till you have used up all your insurance and savings before we teach you these techniques. Counting to ten is a prescription for disaster. I do not know about you, but for me trying to count to ten when I am angry is a really bad idea. By the time I get to ten I will have thought of ten new ways to dispose of your body. Counting to ten just gives me the time to leave my anger on the heat long enough to let it explode. The trick here is not to learn to control your anger. The key is to learn techniques to not anger yourself in the first place. No anger – nothing to control. You think this sounds crazy, don’t you? Albert Ellis one of the founders of REBT and CBT therapies wrote about this in a book titled “Anger: Living with it and living without it.” It is in plenty of other books by Ellis and others. This formulation is so simple that once you get it, you almost instantly stop getting angry unless you chose to do so. This model sometimes referred to as the A-B-C-D-E method has even made its way into an official government publication. This anger workbook is available free from the SAMHSA website. A free self-help book that also works? What a deal. Here is my brief example of a way I use this model. One night while teaching a class at the local college, a student in the very front row suddenly slams her books shut, grabs her stuff and goes running for the door. No phone call, no explanation, she just runs from my class. We had a break coming up, couldn’t she wait till then? This is clearly very rude. I feel disrespected. She has really made me angry. I vow that next week before I start class I am going to have a talk with this impolite person. What she did, running out of my class, has disrespected me and made me angry. Which is what she did. She did it and she made me angry. C = is the consequence, my anger. So A caused C. Her action made me angry. With me so far? In class when I explain this, the students usually argue with me as we go along, trying to make me angrier. I am hoping you will hang in to the end. The following week this same student is waiting at the door for me to unlock the classroom. Before I can read her the riot act she begins apologizing. She explains that she is so sorry that she ran from the room last week. She ate some food she bought from a street vendor on the way to class last week and she had a sudden attack of diarrhea. If I believe that the reason people do things is to be mean and disrespectful to me then I will be angry. If I think that they did it because of some problem they have, then I do not take it personally. Note that it does not matter whether it is true or not. I do not need to know if she is telling the truth to either become angry or feel sorry for her. If she really just was bored and chose to leave the class and make a scene but later decided to apologize and make up a story, I will still not get angry if “I believe” that she was not being rude. Also if I chose to not believe her, even if she did have an attack of food poisoning, I will be mad at her despite the apology and the excuse. The key to my anger is not in her actions or her apology. It is in what I chose to believe. D = dispute that belief. If I can think of other reasons that people do things, then I can come up with alternative feelings. The result of this revelation is that I can disconnect those buttons and thereafter no one can ever “make me angry” by what they do. E = Effective new belief. Now there may still be times that people do things that I find unacceptable and I will allow myself to get angry even if they did those things out of an acceptable reason. Or I can choose to never anger myself about what people do because if I anger myself I am likely to be the one who reacts out of anger and gets in trouble. Now some of you are resisting this idea. You would like to hang onto your belief that other people make you angry because they don’t do things they “should do.” Or they refuse to do things they “must” do. Ellis had a lot to say about the dangers of “shoulding on yourself” and “Musterbation.” I will let you read him for that. Consider that there are evil people in the world and they do evil things. There are “stupid people” and they, of course, do “stupid” things. I do not need to like those things. I may even resist or oppose those things, but I do not need to anger myself when stupid people do stupid things. That is, after all, what they are supposed to be doing right? Once you grasp this principle you do not ever need to allow anyone to make you feel any way other than the one way you chose. You may, however, need to cut some stupid or inconsiderate people out of your life because you choose not to put up with their behavior towards you. If your ex continues to make you angry then you are choosing to continue to be in a dysfunctional relationship with them. Consider this idea and maybe check out the SAMHSA anger management book or one of Albert Ellis’s books. If this idea makes sense to you let me know. If this post made you angry because you continue to believe that other people control your emotions and you chose to comment and tell me so, I may choose to delete your comment so I do not anger or upset myself over hostile comments. Hope you have a happy and anger free day. Give this process a try and see if you don’t find that you can anger yourself or not anger yourself depending on what you chose to do. This entry was posted in Anger Management and tagged Albert Ellis, anger, Belief, Emotions and feelings, Hope, recovery and resilience by David Joel Miller. Bookmark the permalink.